Marianne Faithfull in Montreal or Quebec City? Inform me about the next events for Marianne Faithfull. Enroll yourself to our priority waiting list for Marianne Faithfull to be alerted when new tickets are available. Filling this form doesn't engage you to any purchase. Marianne Faithfull is coming to Montreal and Quebec City this summer! 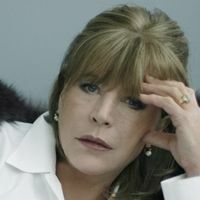 Marianne Faithfull will first be performing at Théâtre Maisonneuve of La Place des Arts in Montreal, on July 4th, 2011, as part of the Montreal Jazz Festival. Furthermore, Britain's great songstress will also be at Parc de la Francophonie in Quebec City, on July 12th, as part of the Festival d'été de Québec. After 47 years in the business, Marianne Faithfull still has some things to say and some songs to sing. She will be releasing her 19th album, entitled Horses and High Heels, on June 28th, 2011.